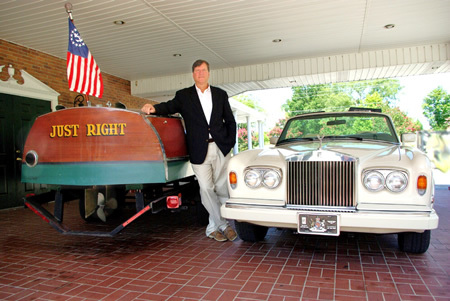 Carolina Classic Boats and Cars offers the distinguishing boat or automobile enthusiast or collector an opportunity to select from a variety of antique, classic and unusual boats and vehicles. Choose from an entry level project boat to a turn-key show boat, or from a 17' runabout to an ocean-going classic yacht. 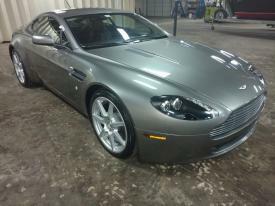 Or, if you prefer your fun on four wheels, we specialize in unique and vintage automobiles from reputed import brands such as Porsche, Ferrari, and Jaguar as well as domestic classics from Ford, Chevrolet and Chrysler to name but a few. We back everything we sell or represent with our outstanding dedication to customer service and satisfaction. 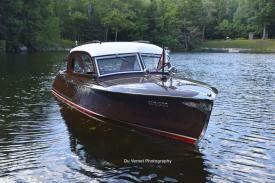 As true boating aficionados ourselves, we are constantly in search of unique, rare and collectible vessels such as Chris Craft, Gar Wood, Hacker Craft, Trumpy and Riva motorboats just to name a few. 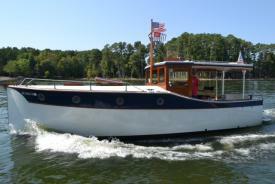 We invite you to browse our current online inventory of specialty boats currently offered for sale, or if you are searching for a specific boat or have a unique or vintage watercraft you are interested in selling through our brokerage services, please contact Greg Jackson via email at contact@carolinaclassicboatsandcars.com or via telephone at 864.923.2817. JUST IN!!! - WOW! 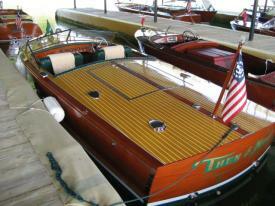 THIS BEAUTIFUL 1955 21' CHRIS CRAFT COBRA WITH SUPER RARE CADILLAC POWER IS READY TO SHOW OR JUST ENJOY.